Having a Voice Can Change Everything | GoWall — Better Meetings. Guaranteed. At the recent Tech Crunch Justice conference in San Francisco, LaFawn Davis, Global Head of Culture and Inclusion at Twilio shared this: “Diversity is being invited to the party, inclusion is being asked to dance, belonging is knowing all the songs.” This statement resonates with us at GoWall because it speaks to actions and feelings we have all experienced. And, we can connect it to technology’s ability to remove hierarchies and create an equal playing field for expression and contribution, particularly in meetings. That means everyone—regardless of title or level in an organization—becomes part of the conversation. We have something to add to the words of wisdom that LaFawn shared: Voice. Our founder, CEO of GoWall, spent years facilitating meetings before GoWall existed, and became keenly aware of organizational dynamics and hierarchies that cause some participants to stay silent. As a meeting leader, do you have the tools you need to design a purposeful, engaging session? Is your team empowered to express their ideas openly? Do you have the tools to grow as a meeting designer? Do people look forward to the meetings you lead? As a participant, is your unique voice being heard? Or is it blending into a chorus of voices? Are you being presented with the structure you need to contribute in a meaningful way? Are your ideas being captured and considered? 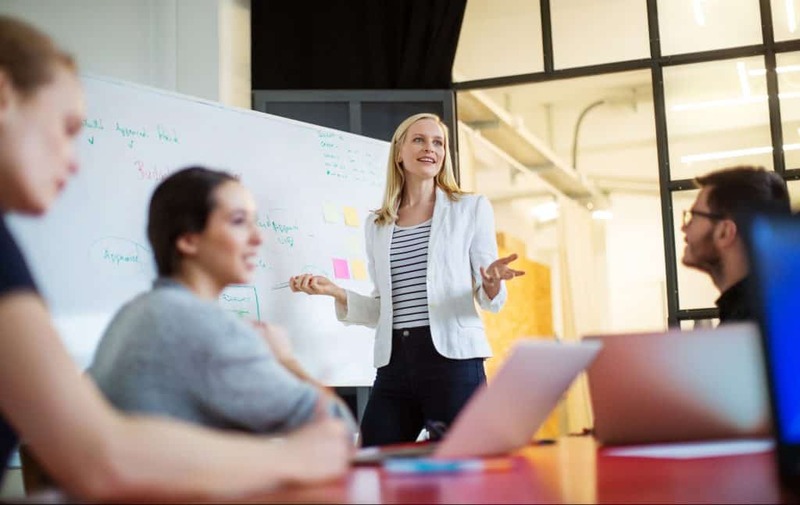 In a 2010 article in Forbes’ Work in Progress/Career Talk for Women, writer and career coach Chrissy Scivicque shared reasons for why people don’t find their voice in the workplace. Fear of rejection and the belief that no one is really listening were just a few of the reasons she listed. We’ve also observed some workplaces where the infrastructure, technology and culture don’t support employees’ desire to get more involved. But many experts say giving employees a voice at work can have a huge impact on employee engagement and a company’s bottom line. In a 2017 article in American City Business Journals, writer Alexander Maasik wrote that seeking employee feedback—and being open to suggestions—sparks innovation that can transform a company. Employees who have a voice are happier and more likely to stay put, reducing turnover. When we have a platform to easily share our unique voice, regardless of our role, that’s when we start to make a difference, both in our teams and in our careers. We find solutions—on our own and as a group. And that’s when work becomes truly satisfying.